We offer a full range of business class Lenovo all-in-ones, desktops, laptops, tablets and workstations. We are also an authorized warranty depot and can process claims in house. For years, the term ThinkPad has brought to mind qualify, confidence, and the leader in business laptops available in any colour you would like so long as it’s black! Today the ThinkPad laptops leverage exotic materials like Carbon Fiber to build the lightest most rugged machines possible that meet or exceed the military specifications required to operate under the most severe situations. If the laptop can survive a ride through the desert in the back of a truck it can most certainly handle the baggage inspection at an airport! Historically you needed to choose two out of three when it came to power, weight, and battery life. That isn’t the case any longer. 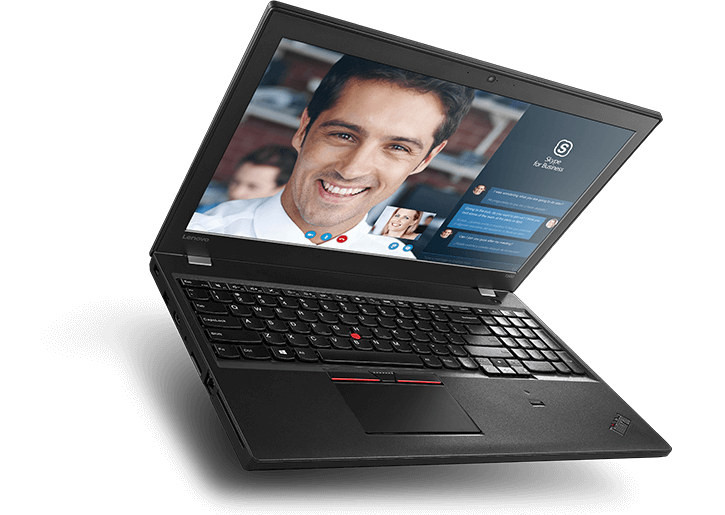 Sub 3 pound Ultrabook’s with 10 hours of battery life that have blazing fast processors are an option – the ThinkPad line has more traditional laptops and even workstation laptops featuring Xeon class processors and Nvidia Quadro graphics for the most demanding applications. The bottom line is there is a ThinkPad for everyone – what’s yours? If you’re interested in learning more about our hardware solutions, click here to get in touch with us today, or sign up to the newsletter! We respect your privacy and would never share your Email address with anyone else, and it’s really easy to unsubscribe. Lenovo is the market leader in the ultra-small form factor desktop segment. Traditionally you need to use an all in one desktop to reduce the deployment size of a desktop, unfortunately this leaves an unfortunate situation when you are refreshing the machines where the monitor must be replaced as well! We do still sell all in one units but they are reserved for unique situations. Instead we use the Lenovo Tiny and the accompanying Tiny in One display. This setup allows you to reuse the screen and replace the computer components only. It acts similar to an all in one, you have front mount ports and you can even turn it on with a keyboard short cut! Whether you run a small business or the IT department of a massive enterprise, you can have confidence in these desktop PCs’ reliability, ease of use, and productivity—not to mention their green appeal. The Lenovo ThinkCentre Towers are everything that you need them to be: durable, manageable, expandable, flexible – do-able. ThinkPad tablet PCs combine ultra-mobility, complete connectivity and smooth multi-touch comfort with the traditional ThinkPad virtues of rugged reliability and unmatched security. These business-ready tablets deliver a full PC experience with versatility, Windows 10, and an ecosystem which include an optional Ultrabook Keyboard, ThinkPad Tablet Dock, and Digitizer Pen.